Over the last year, agency staff have worked on a complete re-design of the website to coincide with a very important milestone–LDCAA’s 50th Anniversary. Generous funding support provided by NeighborWorks® America, the Sarkeys Foundation, and USDA Rural Development has helped to make this hard work and vision a reality. The result is a more accessible, appealing, and user-friendly website for customers, partners, board members and employees. The new website provides a secure online portal to accept donations, as well as allow employees to conduct business more efficiently. A significant impact will be the benefits the new website can convey to our customers, who will be able to submit applications and discover available resources–all at the click of a button. 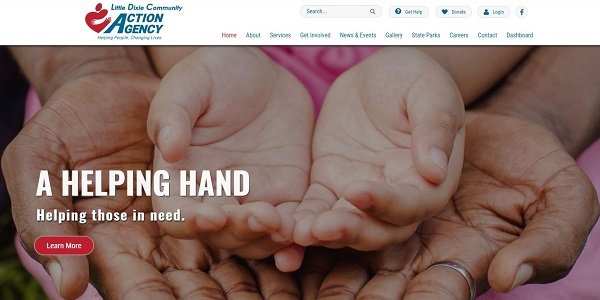 In addition, the new site has a Staff Portal which serves as the access point for all agency forms, policies, announcements, and other guidance.